Do you desire a safe, nourishing space to connect with others and communicate in the unspoken language of the heart? In February we sat on the beach in Uvita, Costa Rica, offered tobacco and asked for guidance about how to best serve our community. 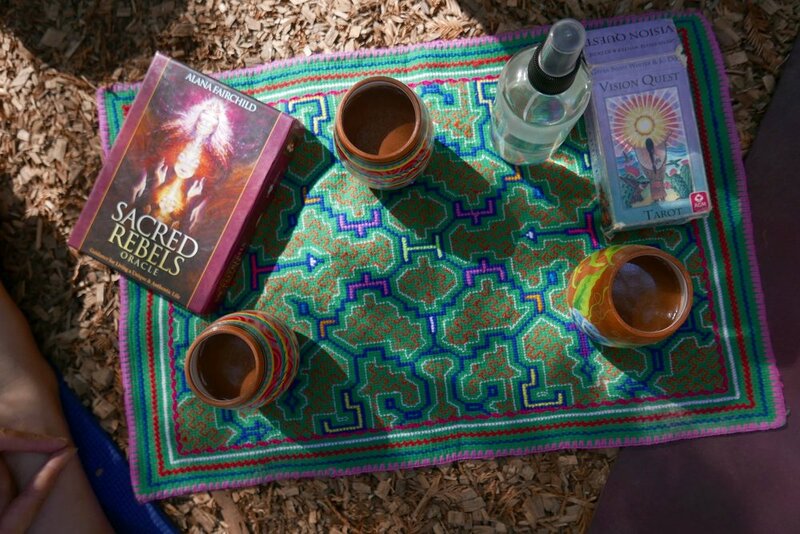 We knew we wanted more opportunities to connect with you on a regular basis outside of our international retreats, and we also wanted a space to share all of the wisdom and lessons coming through from our plant teachers and cosmic guides. As we sat with these questions, we felt into our own hearts and voiced our recent feelings of overwhelm and ‘pushing to get somewhere’ due to the fast pace of our lives and the endless amount of things to do. We identified a deep underlying desire for simplicity, ease, and connection. And from that place, Multidimensional Heart Medicine was born. This will be a weekly offering of our hearts to come together in circle and share what's present. You can expect medicine songs, current astrological + energetic reports, collective prayers, hearing what's on our hearts, and the healing balm of being in community. Something magical happens when the two of us come together to hold space. When we come together, our intention is to nurture and love on you. To make you feel safe to be who you are and how you are in that exact moment. We can't wait to dive into the multidimensional realms and awaken our hearts together. You don’t need to sign up for anything, and the only exchange we ask is for your presence if you decide to join us. Simply show up on the zoom link below and sit in ceremony with us. We will be hosting our first circle next Tuesday, March 27 at 8pm EST/ 5pm PST.